#OTalk 2nd Feb 2016 – When does routine work activity become Continuing Professional Development? When does routine work activity become Continuing Professional Development? You may recall that last year we held chats in January and June looking at our ResOTlutions. This year we are taking a slightly different approach and invite you to share your ResOTlutions on twitter. 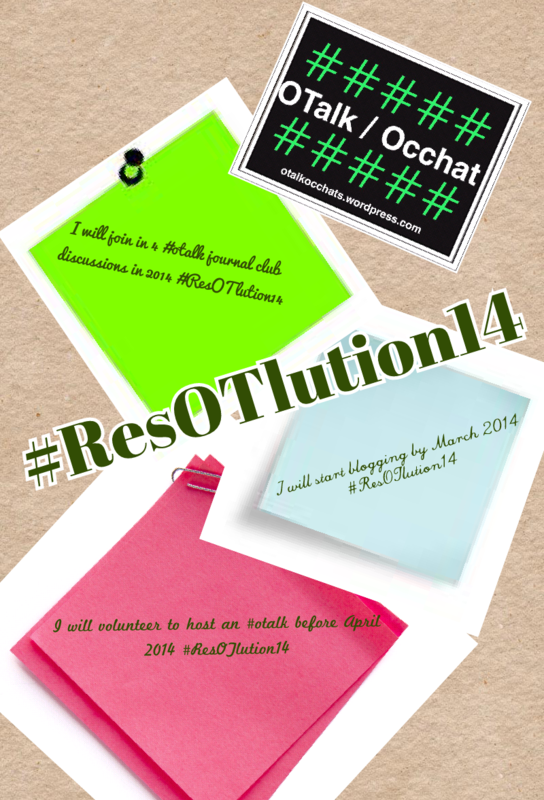 Just state your ResOTlution and add #ResOTlution14 we will then add them to a storify so that there is a record of your ResOTlutions for you to review. As this is not being done on a set date you are free to add your ResOTlutions at any time. However we will publish the the first edition of the storify at the end of January 2014. We look forward to sharing with you as the year progresses. Thank you everyone who has made a ResOTlution14.